-Supplied with powder coated metal transport bracket. -Brass valve with easy to read pressure gauge. NOTE: Fire Extinguishers supplied by Gael Force will be stamped with a Manufacturer's date. This does not represent a service date and a fire extinguisher purchased for an MCA Coded boat must be installed by a Fire Service Engineer who will label the extinguisher with its next service date (1 year) and extended service date (5 years). 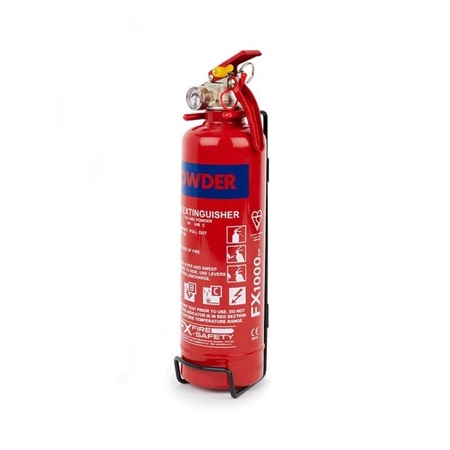 If your extinguisher is not installed by a Fire Service Engineer, there is a high likelihood that the MCA will not pass the equipment for use.